A few weeks ago, I ordered some goodies from Moorea Seal. Do you know about Moorea? I met her in 2013 when I spoke at Camp Mighty, and at the time, she was selling her own handmade jewelry on Etsy. Fast forward two years, and Moorea now runs an online shop with goods from more than 50 brands, and she’s got a gorgeous storefront in Seattle, and her first book, The 52 Lists Project, was just published. 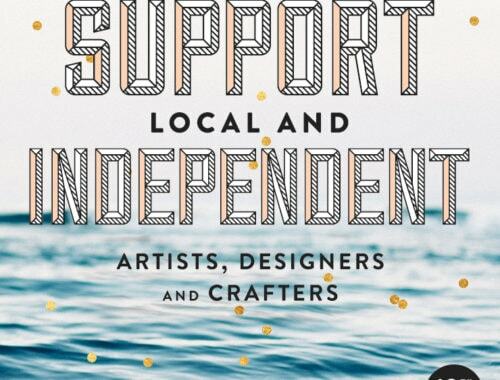 Also cool: As part of their Shop By Cause program, Moorea Seal donates 7% of all sales to non-profit groups in five categories. Anyway, back to the point of this post! I ordered some goodies from Moorea Seal, and later that day, I got a shipping notification. Now, I LOVE tracking numbers. If I have a tracking number, I will check it three times a day and sign up for text notifications just so I can obsess over where my stuff is and how soon it’s going to be in my mailbox. This time was no different, except…well, except instead of arriving in my mailbox, my package decided to take a ridiculous 17-day journey around New York City, hitting post office after post office in two boroughs. I kind of wish I had transcripts of my phone conversations with the USPS, because it’s pretty amusing to hear people find creative ways of saying, “We have no idea where the package is, why we’re not able to find it or stop it, or if you’re ever going to get it. Thank you for your patience!” Anyway, somewhere around day 14, I decided the package was never going to show up, and Moorea Seal’s excellent customer service people sent out a replacement. Then, of course, both packages showed up. On the same day. Hah! So now I have two sets of goodies, and instead of sending one set back, I suggested that I do a giveaway. Thanks, USPS! You have FOUR ways to enter to win! ** If you already liked/followed either of us, that’s fine. Just let me know in your comment so I can count your extra entries. Honor system! **This giveaway is open to international entrants, but you will be responsible for any taxes or duties if you win. The deadline for entries is midnight ET, September 16th. I’ll notify the winner via email. A favorite is the Lagoa convertible bucket bag….LOVE! Thanks for the opportunity to win the goodies! I love it all! Especially the jewelry, and especially the Edie necklace. (I also follow you on Instagram). I follow you both on instagram already! Just hit you both up on FB and Pinterest! I’ve been thinking about her getting her new book, and I love all the little stud earrings. I love the “Current Hoops” — so affordable and cute! I follow both D16 and Moorea Seal on facebook & instagram. Their jewelry is all great, but I particularly like the Super Moon ring. Followed on Instagram, FB, and Pinterest. I really like the Large Leather Sling Bag… and I really need a new bag! Followed you both on Insta + FB. Such beautiful things! How could you ever choose favourites? I’m swoony for the Teague booties, though – perfect for fall. I love the zodiac necklaces, especially the Taurus, of course. 😉 I follow both of you in instagram, I like both of you on FB and I follow Moorea Seal on Pinterest. Thank you for the giveaway! What a lovely shop Moorea has. I like the mothers little helper earrings in opal. Brilliant giveaway. I love the Boulevard scarf but there are really so many things I could choose. I’ve liked/followed you both on Facebook and Instagram and have followed Moorea Seal on Pinterest. Hope I win! I’m pretty partial to the Young America Creative’s seasonal wildflower poster (saw it in person a few months ago and loved it), McCarty tote and the Little America Backpack. Fall is on its way – that gold scallops tumbler is perfect for cold hands and marathoning television shows. I think the Adelaide bag is really neat! I follow all of the things, and would LOVE that punched bag, it’s super! I’m completely in love with the blue agate bookends. Thanks, Anna! I already liked and followed D16 on Instagram and Facebook. I have dutifully liked and followed Mooreaseal on Instagram and FB (thanks for the find!). 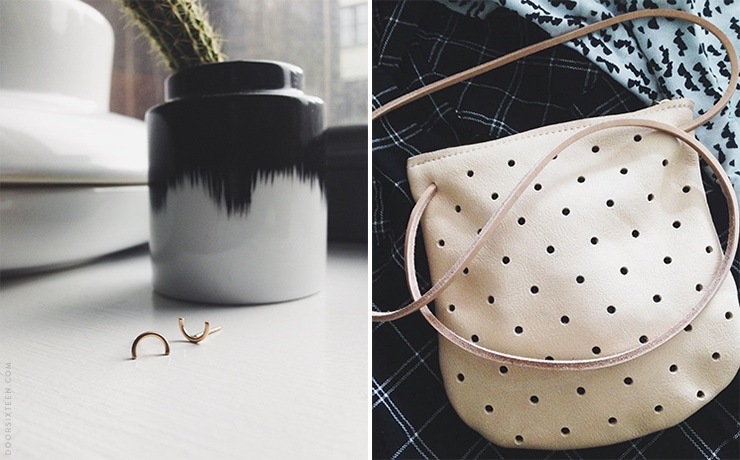 I am partial to the Tiny Shapes Stud set and the Gold Raindrops Tumbler! I love herbivore botanicals. And that punched pouch! Those earrings are fab (and the bag. Good taste, you!). I’m actually really into her 52 Lists book. It feels like the kind of thing I wouldn’t normally be in to, but that I would enjoy if I gave it a proper shot. And I already follow you both on instagram, and facebook, and I just followed Moorea on Pinterest. Because.. cool people, right? Love the Bradford Slip-Ons at Moorea Seal. I already follow Moorea Seal on Pinterest and Instagram. Just followed you on Instagram. I love the Cow Horn Whisky Tumblers and the McNeil Crossbody bag! I like you both on Facebook and follow on Pinterest! I love the notched cuffs. Thank you. Love the Bradford Slip-Ons from Moorea Seal. Already follow her on Instagram and Pinterest. Followed you on Instagram. I love the large leather dot tote! And I follow you both on Instagram and like you both on Facebook. Thanks for a great give away! I love those zodiac pendants! Follow you both on pinterest now! the roslyn satchel is gorgeous…so, so soft looking – yet sturdy! I JUST had a very similar thing happen to me but it was with Levi’s and it’s still unresolved. My package shipped out 8/26 and the tracking has no update whatsoever. Customer service says a replacement has been sent out but so far there’s still nothing. I’m giving them until tomorrow before I unleash my wrath. Also, I just purchased the Pine & Boon Leather Dot Tote in Black from Moorea Seal and I LOVE it. Needless to say, it’s my favorite item from her store. I already follow you both on Instagram and I just liked you both on Facebook as well! I particularly love all their jewelry. It’s hard to find decent quality minimalist jewelry that’s not astronomically expensive. Already liked D16 on instagram and facebook, and just now followed Mooreaseal on both as well! I’ve followed you both on Instagram and Moorea Seal on Pinterest! There are so many lovely things in the shop, but I have to say my favorites are the silver short arc earrings and spotted cowhide clutch! I’ve fallen hard for the yellow hanging vase, but I also love the Rhiannon and Louise necklaces. Oh, quandaries! I follow Moorea Seal on Pinterest (but don’t really do Insta or FB). I follow/like you on Insta/FB, and now follow/like Moorea on both as well. I love the raised square ring! I also love that you can “shop by cause”. Such a cool idea. So many beautiful things. Thanks for showing us this site. Love the hats – especially the Morley. And the bags – the Safari bucket looks so soft. I’m loving the scale earrings and the arrowhead necklaces! I follow both of you on Insta and FB. Thanks for hosting a giveaway! Right now I’m totally feeling the ‘Mountainsides Ring’, because I love rings. Maybe too much. I already liked and followed you everywhere I know how to (facebook and instagram), and now I have followed Moorea Seal on instagram, liked her on facebook, and followed on pinterest! I super like your taste and would be way pumped if I happen to win these! Wait, I love everything.. But wow I NEED those Elettra sunglasses! PS. I followed you both on all the social media. Omg! Some of my fav pieces on Moorea Seal are definitely the Stick Studs, Gold Standard Necklace (!! ), and Maddox Bootie. I’ve also followed both Door Sixteen and Moorea Seal on Instagram, and left a comment on the Instagram post! Ooh, I love the Adelaide. crossbody’s for the win! I have followed you on insta and facebook, just added them! What a great giveaway! That punched pouch is darling! (Follow on IG, liked on FB and Pinterest)! I love the Trenza Cut-out boots for the fall! So hard to choose. But I LOVE the large leather sling bag. i’m loving the tote and shoe selection! fingers crossed~ thank you! Zodiac pendent, every day in every way I need a Leo necklace. Love the bag and those studs… swoon! Following you both on ig! Love the fern iPhone case in her shop! those teeny tiny gold stud earrings – straight up putting that on my wishlist. This is an amazing giveaway – thank you! I really really love their mineral and gem study. Gorgeous! Followed on pinterest and instagram! the agate arrowhead necklace is beautiful. love that shade of green. followed on pinterest and insta. hooray! Thanks for the great giveaway! I love the Lyra necklace, and the Open Pyramid ring. Even better, I love that you have the option to shop for cause with the option to shop for items where a portion of proceeds go towards kids, women, and animals. What an awesome deal! Wow, this stuff is amazing! Love that website! Tough to pick a favorite, but I really like the Morley hat in black. I now follow you both on IG. I follow you and Moorea Seal on IG (chanmeleon) and FB (Chanelle Smith)! I really like the Suspended Crystal earrings and all the shoes. But in particular the Zelm and Maddox booties. I follow you on instagram (mishipete) and have been a long time blog follower. Just followed both of you on Facebook. Moorea Seal has been a go-to for gift giving for me for a long time. Such a beautifully curated shop with a lovely message behind it all. The Adelaide bag and zigzag earrings are on my list for sure. My favorite is the Punched Pouch – perfect for storing money and cards when going out on the town! I love Moorea’s store! My favorite product is the Morley hat because it actually fits my huge head and it’s super cute! I follow you on instagram (@visualheart). I really love everything on Moorea Seal! But I’ve been into crossbody bags lately. Love the Hand painted Indigo Stripe Crossbody by Anna Joyce. Looove the SAFARI BUCKET BAG. I like Door16 and Moorea Seal on Facebook. I love a good punched bag.. have yet to acquire one. I also want the notched cuffs and gold standard necklace! I started following Moorea Seal on pinterest! I love the Wild Heart ring and the Poet ring! McCarty tote and leather dot tote. Totes for all! I love the Tesser Tote so much! I’m also really into the Analeigh sunglasses, but alas, my teeny tiny face just won’t work with larger frames. Following you both on instagram. Love those! I liked her on IG and Pinterest (already liked you, obviously)! Follow both of you on FB and Instagram. Love the Triangles Wall Mount Bottle Opener and Belota Crossbody! Thank you Anna! I’m digging that knotted cross body bag! Glad you finally got your goodies! I love Moorea, it’s been awesome watching her grow her business and become such a boss lady. 🙂 I have a heart-shaped amethyst ring from her that’s still one of my fave pieces, I get compliments every time I wear it! I’ve been eyeballing the black arrowhead necklace. And I follow both of you lovelies on IG! This is fantastic! I already followed you on IG, but just followed Moorea on IG and Pinterest and followed both of you on Facebook! I think this website is my jewelry spirit animal, because I want to hug every piece she has up there! Also totally into the bucket bags. I love the broken lines and indigo strip crossbody bags! I have already been following you on insta/fb and I just followed moorea on all of the above. I love the glimmer hoops! So many cute things to look at! I love the DIP DYED MACRAME WALL HANGING. Liked both Moorea Seal and Door Sixteen on IG and Pinterest. There are lots of good things, but favorites: Mini Wave earrings and Broken Lines crossbody bag. I think I entered through Instagram + Facebook, too. My faves are the punched bag and the notched cuffs. THe Arlynn booties! OR the Laynie flats. Thanks for the chance to win! I love the beer pint glasses set! I liked you both on FB and I am following both on Insta and Moorea on Pinterest!! I’m so in love with the scale earrings:: want! I love the Doma necklace. I am following Moorea Seal and Doorsixteen on Instagram. I follow Moorea Seal and Door Sixteen on facebook. I am following Moorea Seal on Pinterest. I love the rings – Verta, Scale Spill and Scale Plunge. The DESERT + WIND RING SET seems like a great deal… Hmm. I also follow you both on Instagram. Some of the posters are pretty great, like this one of Seasonal Fruits and Vegetables. I wish it was for my region, but it’s pretty either way! I also liked D16 on Facebook and Moorea Seal on Facebook and Pinterest. Followed on Insta! Followed on FB! And followed a board on Pinterest! Love the pink leather clutch! Oooh what a cool store… thanks for the introduction! I am loving the pegasus and the black silver spike rings. Love the INDIGO STRIPE ZIPPER TOTE and the SPECKLED DIPPED BANGLE. *Currently follow both of you on Instagram and added Pinterest follow for Moorea Seal. Ah, so much to love! I’ve been spying that dot purse, in all the colors, really. The ceramics on the site are great, and I love the Weirdo Vase (the name helps). Not to mention all the jewelry. Really, one can go on and on…. Oooh love Moorea Seal! Just followed all of their social profiles and yours; I’m already following you on Instagram. There are a ton of items I love of theirs, but I especially love the Super Moon ring and the Maya Bay scarf. I love the bags and the black silver spike ring! I like you both on Facebook, follow you both on Instagram and follow Moorea Seal in Pinterest. the stuff you choose is on point (hee hee) but those gem calenders! wow! i already follow you on facebook but now follow you both on instagram and the shop on fb, too. no pinterest for me, though! -Belota Crossbody (of course the one I like is on the pricier side of things ::sigh::). Thanks for letting me enter the contest! Fingers crossed! Thanks for hosting an international giveaway! I miss out on a lot of the fun with restrictions. I’ve had my eye on that very back for weeks now!! Would love to snag it! I have been looking for a bucket bag and a backpack and Moorea Seal’s convertible bucket looks really cool. I want the Bradford Slip-Ons bad. The Scale Fragment earrings are cute and I like a bunch of the notecards. Love the Wanderlust shawl and small V necklace. I also followed both of you on Instagram and liked on Facebook, AND followed her on Pinterest (yeah, I wanna win). thank you!! So many goodies to choose just a few favorites, but those large leather fold clutches and rings are fantastic. The triangle druzy ring is probably on of my faves. So so cute. I am following both of y’all on Instagram and I liked/followed Moorea Seal on FB and Pinterest just now. Thanks for doing this giveaway, Anna! I was just in Seattle earlier this month and popped by Moorea’s adorable shop. Right now I’m digging the You Are What You Love Cuff! i’d love to have these elbow macaroni earrings in my arsenal! also – i follow you on instagram as well. My favorite item at Moorea Seal are definitely the Deep Blue Agate Bookends. 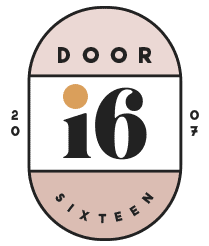 I’ve now followed Door Sixteen and Moorea Seal on Instagram and Pinterest. I love the gold raindrops tumbler! I already followed you on Instagram, and am now following Moorea – same for Pinterest! I adore the simplicity of the Infinity Cuff and the Gold Dipped Bar Pendant. Thanks for introducing me to this company! What! This is awesome. I have had similar experiences with USPS, glad it worked out! I didn’t know about Moorea Seal before but I just drooled all over their site. Anna, this is so nice of you AND Moorea! Funnily enough, I already had my eye on those half circle studs. But I also love the hook earrings. And the dark blue agate bookends. And the Teague bootie. And and and. Something like that happened to me with a package once. Your package seems to have made a tour of quite a few hot neighborhoods. Maybe USPS should start offering tours of the City? Oh, I’ve never won ANYTHING so I’m all over this! How beautiful. I basically love everything on the site, but I’m coveting the large leather sling bag. It looks just perfect for every day. PS – I already “liked” Door Sixteen on Facebook, but am not following both sites everywhere! Even better than my favorite Moorea Seal product, the Black and Tan Bucket Bag, is that 7% of the proceeds from this fantastic bag goes to the Refugee Women’s Alliance. What a great way of giving back! i like the punched pouch best! 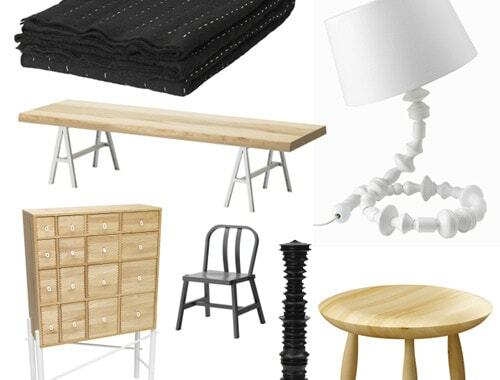 A treat to find a huge website full of lovely, affordable stuff! The full moon ring and the besties band are both great. Also really like the collett sunglasses. Sorry you had to go through all of that trouble – glad that a reader gets to benefit from it, though! My favorite products are the orchid face oil and the punched pouch. Oh, I love those posters by Young America! I’ve seen one in my local sushi place, and what a surprise to find them on Moorea Seal’s site! I follow you on Insta and Facebook, just followed Moorea Seal on all three! I love the Study wall art, especially the antler one! I love the punch pouch!! Following them on Pinterest too. I love all the jewelry Moorea has on offer, but especially loving the Arka Necklace–that blue ocean jasper is dreamy! Already followed you both on Instagram, already followed you on Facebook and just followed Moorea there too, and on Pinterest. Thanks for the chance to win.! I love the charcoal dots tote! I follow you on instagram and just started following. And from their site I like the harbor tote. Now following Moorea on Pinterest. Thank you for the contest. I really like the Moving Trees scarf! Lovely greens. 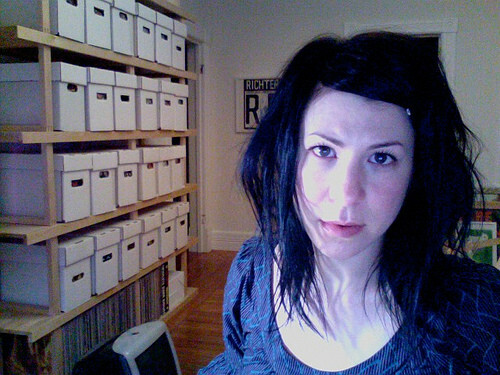 Lots of great stuff, but I really like the Mari Collar necklace. I love the riptide necklace! I’m following you both on Instagram! The Safari Bucket Bag is everything! I also like the triangle cut out necklace. I already follow you on insta, but I added Moorea Seal too! I also liked both facebook pages and follow Moorea on pinterest. Love the hoops and the little studs – so pretty! Already following you on instagram and have just added Moorea Seal too. I love the punched pouch. Perfect! Thank you for sharing and the chance to win! I love the tiny shapes stud set – a mini triangle, cross and circle, fun for mix and matching. oh my, I’m all about those bags! Loving the bucket bags and that punch pouch most, though. Thanks so much for the giveaway. What gorgeous stuff! just because we’re finally getting a hint of fall, i’m seriously considering purchasing the miller plaid scarf! looks so cozy! also, followed you both on instagram and FB! Such cute earrings! I also love the screw cuff! i have been searching for a simple leather tote and love the safari bucket bag. so good. i’ve been following on instagram, but just started following on pinterest (moorea seal) and fb. I like the Teague bootie! I like the Morley Hat! Too many things to just pick one but I love the Gold Scallops Tumbler! Thanks for this, Anna. I am a recent fan of Moorea’s, so this is well timed! I’m really into the scale plunge ring and the super moon ring! I follow and like you both on Instagram and Facebook, and I follow Moorea Seal on Pinterest. I love the Maddox booties, but can’t wear heels anymore 🙁 Also love the green malachite demi ring. Already follow D16 on Instagram, but just followed Moorea Seal on Instagram and Pinterest. Their Boulevard Scarf is amazing! a couple faves are the powers super moon ring and the dos tonos ankle boot. oh yeah, and i follow MS and DS on insta and i follow MS and DS on fbook, and i follow MS on pinterest! One: I love love love the Fortress Ring. I’m definitely buying it asap. Two: Follow Moorea Seal & Door Sixteen on Instagram = love you both! already follow! Three: Like Moorea Seal & Door Sixteen on Facebook = love you both! already follow! Four: Follow Moorea Seal on Pinterest = done! I love that there’s a “Shop By Cause” section, it’s nice when gifts can do double duty. Oh, those ankle boots–love!! And love Moorea Seal. As a native Washingtonian now on the East Coast, I love how her products reminds me of home! I love the Gold Scallops Tumbler. I liked Moorea Seal and Door Sixteen on Facebook. I followed Moorea Seal on Pinterest. I love the crossover cuff bracelet! I love the look of the activate face mask and the 52 lists journal – i’m a list person! Sooooo many things…but the Black Age bracelet is really really cool. Everything on their site is super well priced! Ooh – so many lovely things. Love the Laynie Flats though. Already an Instagram fan of yours, just did the fb thing and both for Moorea Seal too, and for pinterest. Thanks! So many things! I love the ARROWS + LINES RING SET & the STRAIGHT AS AN ARROW Duffle Bag. Great stuff on their site! I follow you both on Instagram, Facebook & them on Pinterest. You are what you love cuff! Simply elegant and will never go out of style! Oh man! Everything in her shop is beautiful – but the jewelry is exceptional! Really love the Chock A Block necklace, and the Nova too! I follow you both on Instagram, and just started following Moorea on Pinterest. I really love everything, it’s so hard to choose just one! But my favourite is the sidhe layer necklace. I just followed both of yall on everything! I love the painted graph mini pouch. Everything is so unique and lovely! Well, I love everything. But the straight as an arrow duffel bag is really doing it for me. I’m always on the lookout for luggage, but have never found a piece I liked enough to commit to. This one might be the one! Not easy to pick a fav but look at that SPOTTED COWHIDE CLUTCH! Amazing!!! Already following on fb, so count me in for the giveaway!. so i follow both of you on facebook, and on instagram, and moorea on pinterest. picking a favorite item though? that’s a problem. because i’m pretty much in love with all of it. but all the tiny earrings are killing it for me – i guess the cuttlebone hoops are the winners. that was a hard decision. love the Wanderlust Shawl and the Chock A Block necklace! i follow both of you on facebook, and on instagram, and moorea on pinterest! So many lovely items to choose from. i liked the shelby quartz ring and teague bootie. I follow both of you on FB and Moorea on pinterest. Too many great things in the shop to honestly pick one favorite, but the mini doma earrings are pretty special. Liked you both on FB! 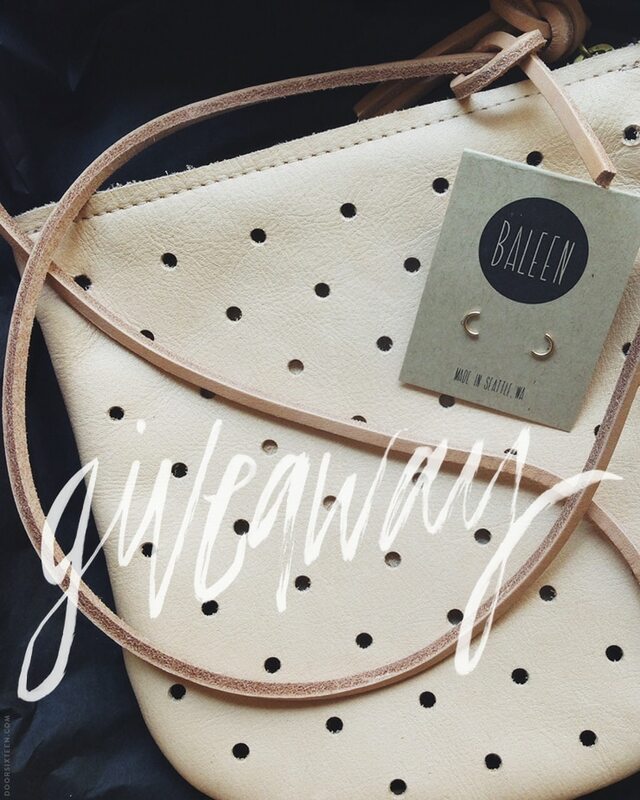 Fingers crossed I win – LOVE/NEED that bag! Following on Pinterest and you both on Insta. I follow Moorea Seal and Door Sixteen on Instagram as @norma_watson. I like Moorea Seal and Door Sixteen on Facebook as Cindy Aiton. I follow Moorea Seal on Pinterest as Cindy Aiton. oh, i really like this fresh/ now&wow astethic of the pieces. Dos Tonos ankle boots and Huntress earrings! The CRESCENT MOON RING DISH is the cutest. I’m kind of in love with the polka dot ceramic bowl! beaut! thanks for the giveaway opportunity — what a lovely shop! i am really feeling the painted graph convertible clutch. i don’t use fb, but i’m following you & moorea seal on insta & moorea seal on pinterest (bright sides)! I love the red NOVA Necklace but there were so many amazing things to choose from! Oh man, I’ve always wanted to try Orchid facial oil. I follow both you ladies on Instagram and Facebook! Oooooh I’m loving the Quinn City Satchel. And the Isosceles Earrings. And pretty much every other item. Damn it…that shop’s range is way too pleasurably curated for my budget. Hi Jackie, I’m not sure I understand your comment. This is the first comment made on my blog with your name and email address since January 2014. I have not removed any comments/entries on this post at all. I even tried searching my spam folder in case my blocking software accidentally flagged your comment, but there’s nothing. I can’t even remember the last time I had to remove a comment, but on the rare occasion that it happens, it’s typically because of abusive or personally invasive behavior. Certainly not a giveaway entry! If you’d still like to enter, please do feel free to leave a comment with your favorite items from the Moorea Seal store. Thanks! I thought my comment/ entry was not appearing because it was awaiting approval. Likely was a poor wifi connection Sorry to put you to that trouble! I rarely comment anywhere. But I do love your blog and have followed along for many years. Love your style. Love the pups! Started using Kiehls products (great!) on your recommendation. And I feel like it’s the end of an era, now that you’ve sold the house! Best to you and Evan as you take this ( sort of ) new direction. I love the zodiac pendants… and pretty much everything! I follow Moorea Seal and Door Sixteen on Instagram and follow Moorea Seal’s Pinterest page. Moorla Seal has soooooo many fab things! My current favs are the isosceles earnings & the large leather sling bag… and pretty much everything they have (#swoon). I follow Moorel Seal & Door Sixteen on Instagram, Facebook & Pinterest! So much to choose from but I love love the Teague bootie. This contest is now CLOSED! I’ll be contacting the winner via email tomorrow, as soon as I’ve tallied all entries across social media.